It hasn’t been all that long since we updated our vans. Around 12 months ago we gave our vans a little more than a breath of fresh air, and there is not a day goes by that we are not thankful for the team of people who helped us bring them to life. We have been spotted from many a distance, including the roof of Wollongong Hospital! We love the impression that the vans have made and the feedback we have been getting from our customers about how spectacular they look. It wasn’t time for a new look, but we did it anyway. Who would have thought we could make an improvement on what we thought was perfection. But we did…in a most spectacular way! We’re not even entirely sure how the poo came to stick (<– like what we did there?). We used the poo emoji quite a bit in our facebook posts for a bit of fun, and then our marketing guy (*insert plug here* the amazing Daniel from Concept and Design) designed one for our infamous stubby coolers to give them a new look. We all had a laugh, but it didn’t end there. 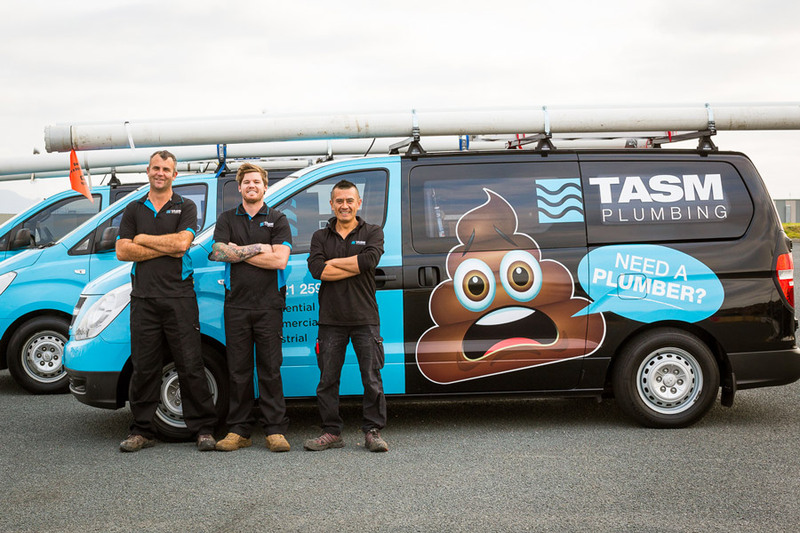 Daniel then mocked up a design for a van with the poo logo on it as a joke. Funny, yes. A joke, no way. We loved it. And that is the story of how the poo came to ‘stick’ to our new vans. WARNING – Video might contain Tom singing! !